I have listed below the books I have read on the First World War since I started blogging. This is a shamefully short list but should continue to grow, as I do find the Great War interesting to read about and would like to add to my knowledge of it. Any recommendations or suggestions are welcome! I’ve included here a mixture of books including non-fiction, historical fiction and contemporary fiction written during or just after the war. This novel tells the story of two sisters, Naomi and Sally Durance, who serve as nurses with the Australian Army Nursing Service during the First World War. I had a few problems with the book, mainly due to the unusual writing style, but it gave me lots of fascinating insights into the challenges facing wartime nurses. Set in Cornwall in 1920, The Lie introduces us to Daniel Bramwell, who has returned to his childhood village after fighting in the war. 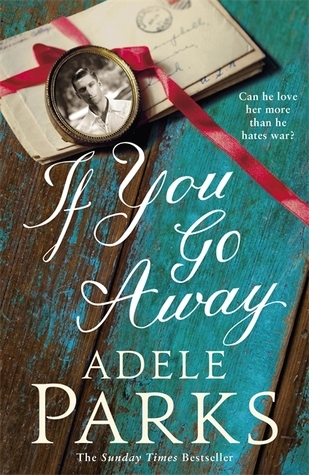 Although this book didn’t affect me emotionally as much as I’d expected, it’s still a sensitive and detailed portrait of life in the aftermath of war and the ways in which returning soldiers have been changed by their experiences. A beautifully written novel telling the story of a romance between rich and privileged Clarissa Granville and Tom Cuthbert, the housekeeper’s son. The two fall in love in the summer of 1914 but with war just around the corner, Clarissa’s world is about to change forever. Another book by Judith Kinghorn set before and during World War I and telling the stories of two women, Lady Ottoline Campbell and her maid, Pearl Gibson. This novel covers some of the same themes as The Last Summer. You may have seen the film or the stage show, but don’t forget to read the book too! War Horse has a strong anti-war message and shows us the horrors of World War I from a very unusual perspective – it is narrated by a horse called Joey who serves in France with the British Cavalry. This is a quick but emotional read; seeing things through Joey’s eyes helped me to learn a little bit about an aspect of the war I had never even thought about before. 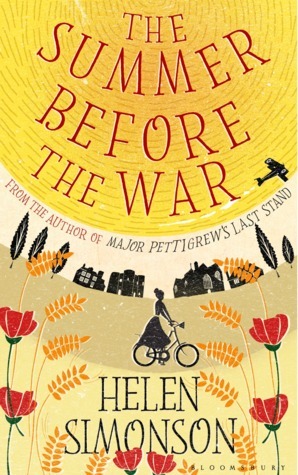 A lovely, moving story about the residents of a small East Sussex town and how their lives are changed forever by the onset of war. Although the pace is gentle I was completely absorbed, discovering as I reached the final chapters how much I had come to care for the men on the front line and the women left behind. 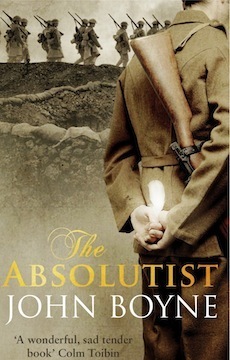 This is a moving and thought-provoking novel following two young men and their experiences in the trenches of France. The question of what it means to be a conscientious objector or an ‘absolutist’ is explored as secrets are revealed and the truth about Tristan Sadler and Will Bancroft’s relationship is revealed. Part mystery novel, part historical fiction, this is a book dealing with the effects of war rather than war itself. I enjoyed it for its portrayal of the people of 1920s Britain coming to terms with the aftermath of the Great War, as well as for the character of Laurence Bartram and his investigations. Laurence Bartram returns with a second mystery to solve: the mysterious disappearance of five-year-old Kitty who went missing from her bed one night never to be seen again. Like the first Laurence Bartram novel, this one explores many different aspects of the Great War and reminds us that although the war may have ended in 1918, its consequences were still being felt all over the world for many years afterwards. A very moving, atmospheric novel and one I loved from beginning to end. Through the story of Non and her husband Davey – suffering from shell shock after returning home from the war – this novel looks at the impact of World War I on one Welsh family and the community in which they live. It has also been published as simply Dead Man’s Embers. Most of the books featured in My Journey Through Time are historical fiction, but I think it’s appropriate to include this one here too. Written in 1929, just a decade after the war ended, this is the story of Frederic Henry, an American ambulance driver who is serving in the Italian army during the Italian Campaign. I wasn’t a fan of Hemingway’s writing style but still found the book quite poignant and moving in places. A contemporary First World War novel, published in 1918. Christopher Baldry returns home from the war unable to remember the last fifteen years of his life. Despite being a quick read at less than 200 pages, The Return of the Soldier raises some interesting issues and leaves the reader with a lot to think about. Another contemporary novel (as opposed to historical fiction), this one published in 1916. Through the story of sensitive art student, Alix Sandomir, Macaulay takes a look at the role played in the war by the ‘non-combatants’ – those who didn’t take a direct part in hostilities. A wartime romance following the stories of a beautiful debutante Vivian Foster and a talented young playwright, Howard Henderson. This novel tackles some interesting aspects of the war, including what it was like to be a conscientious objector. 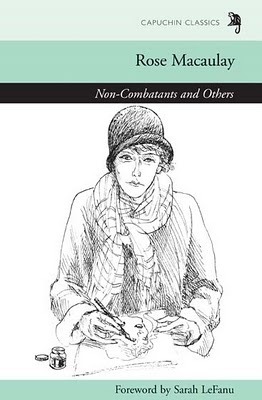 One of the first books I reviewed here on my blog, this is the memoir of a woman who lived through the First World War and served as a VAD nurse. It was fascinating to read a personal account of the effects the war had on one woman’s life and on society as a whole…this is an inspirational but heartbreaking book and one I would highly recommend.